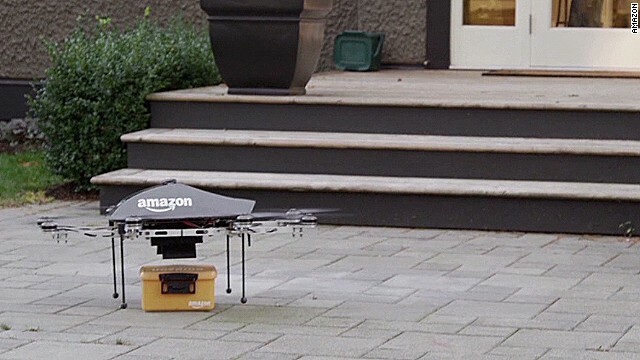 (CNN) -- The Internet is captivated by the news that Amazon is considering a future system that uses unmanned aerial vehicles, or drones, to deliver packages. Some people spent hours examining the feasibility of such a plan and earnestly pondering the effects of weather, thieves and other factors. Others, of course, just cracked jokes. Twitter, as usual, had a field day with the idea. Here are some of the funniest comments, memes and parody "drone" accounts.